I love this time of the month, when consultants gather and share ideas using the new stamp of the month set. 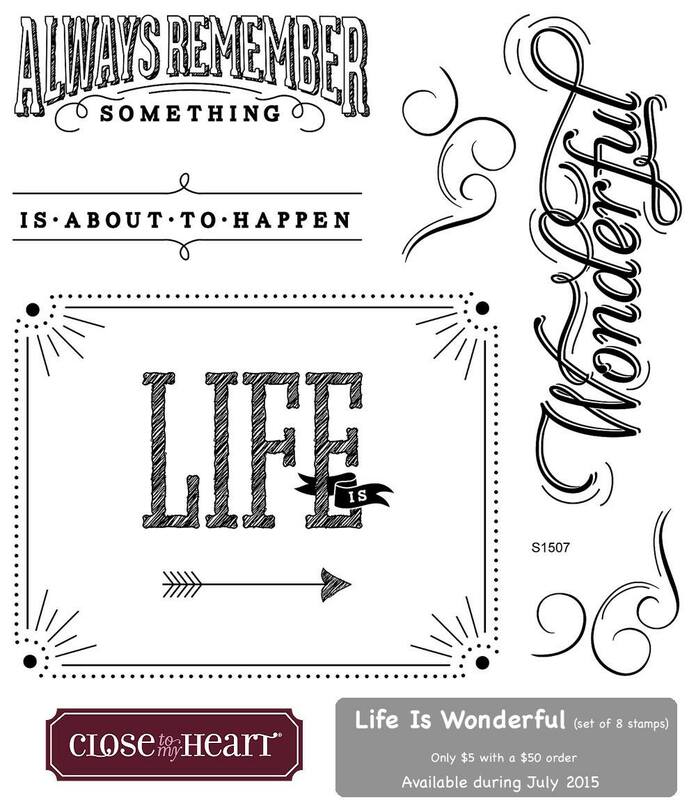 This month 48 or so consultants are all sharing artwork using the new "Life is Wonderful" stamp set available July 1-31, 2015. 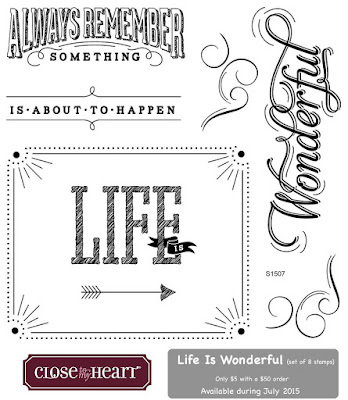 As always, our Stamp of the Month sets are $17.95 or only $5 with a $50 order. If you are coming from Lisa's blog, you are headed in the right direction. If you're just joining the hop here on my blog- no worries! The next link is at the end of this post and if all goes well you'll be able to circle around the hop and see them all. I really wanted to make something for my office at work. It's not often I have photos of me with my kids because I am usually the one taking photos. My husband took the photo I used on this project while we were in Alabama on Spring Break this past spring. It was a humid, misty day and we were in an old Spanish American war fort. How To: I used some simple acrylic paints to paint the CTMH 6x6 canvas. I "inked" the "life is wonderful" stamps from the stamp of the month with Black Acrylic paint. I stamped the words on the canvas. It stamped very light and more like an outline. I used a small paintbrush and black paint to fill in the words on the canvas and make them more BOLD. The "is" was unrecognizable so I just used white acrylic paint to add the word in. 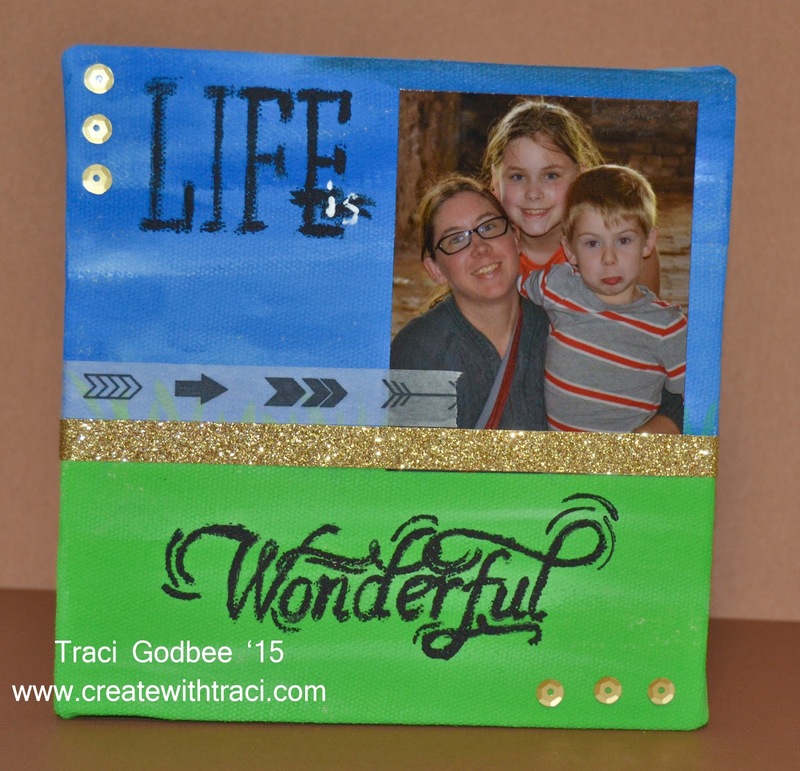 After adding my photo with liquid glass, Some gold shimmer trim and arrow washi tape finished it off. There you have it! A simple (it took 20 minutes start to finish once I got my supplies together) piece of art for my office! I hope you enjoyed your stop here! Now head on over to Kathy's blog to see what she has created for this month's hop! Sweet photo! Canvases are so much fun to make! Great photo and what a neat way to preserve that memory! Cute! Your painting looks like watercolor to me.